The road is long, with many a winding turn1. No, I won’t lead you astray with a rocking rendition of “He Ain’t Heavy, He’s My Brother”. 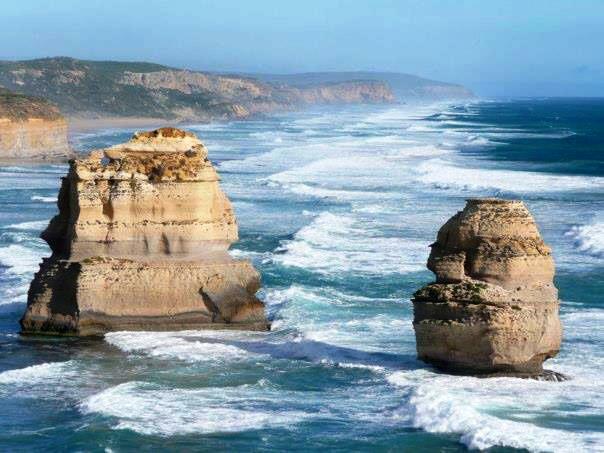 However, it’s a phrase that best sums up the spectacular Great Ocean Road that contours the south west coastline of Victoria. As you cruise along this iconic motorway, you’ll be captivated by the majestic beauty of some of Australia’s most picturesque shorelines. No matter how many times you travel along this roadway, you can’t help but be awestruck by the amazing scenery. For anyone visiting Melbourne, this journey is a must on the bucket list! It’s a 243km (151mi) stretch of road2 with more twists and turns than an Agatha Christie mystery. 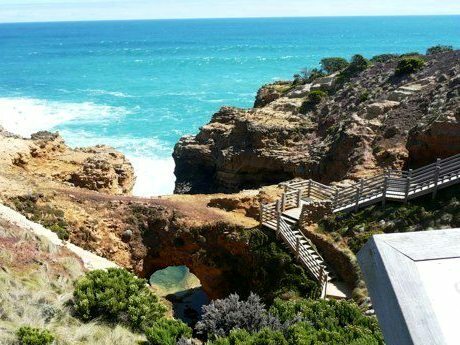 Beginning at the Victorian city of Torquay (just over an hour outside of Melbourne), the Great Ocean Road snakes its way through the charming coastal towns of Anglesea, Airey’s Inlet, Lorne, through to Apollo Bay, Port Campbell and finally ending at Allansford, close to Warnambool3. 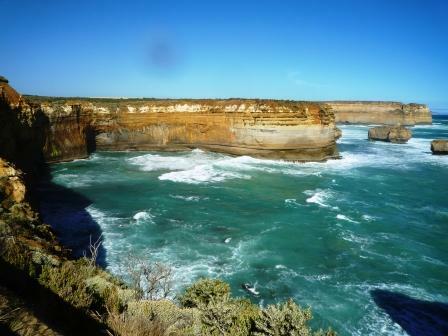 This is a full day road trip and has got to be one of Australia’s top tourist experiences. If you’re an eager beaver, start the journey early to appreciate the panoramic views, the smattering of observation lookouts and popular tourist landmarks dotted along the way. 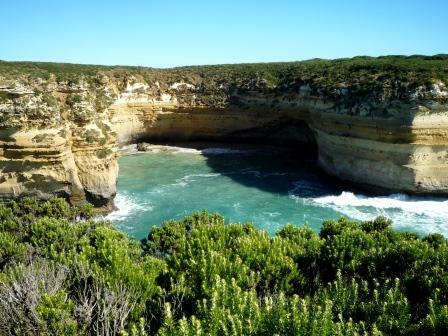 However, for something more leisurely, stay a few nights at Anglesea, Lorne or ApolloBay, to take in the tranquil, laid back atmosphere of Victoria’s southern coastal region. There is a variety of accommodation on offer, ranging from hotels, motels, to holiday homes, ideal for singles, couples to large groups alike, with options to suit any budget. 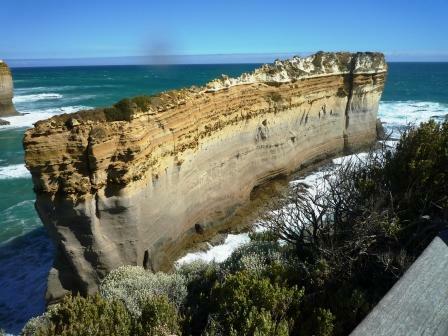 The stunning vistas along The Great Ocean Road are characterised by vivid landscapes and contrasting backdrops, from surf beaches with monster waves crashing against the limestone cliffs, to the stillness and serenity of the surrounding mountain ranges. You’ll wind your way past lush rainforests as the motorway navigates its way through the rolling hills of the GreatOtwayNational Park. 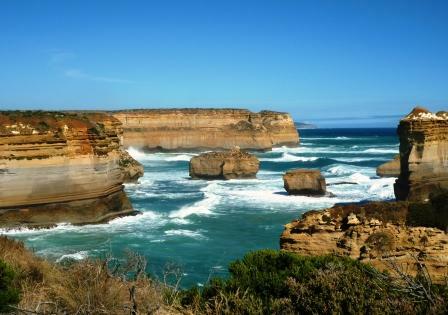 Above all, you can’t traverse across The Great Ocean Road without stopping at the tourist attractions listed below. These are by far the highlights of the journey and what I consider unique gems of Australia. 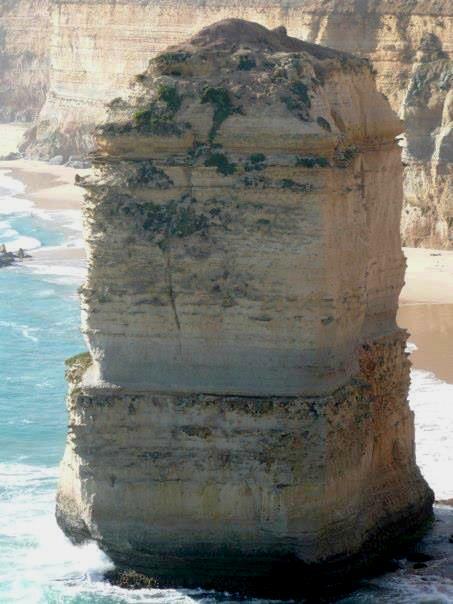 The 12 Apostles – is roughly a 4 hour drive from Melbourne4. 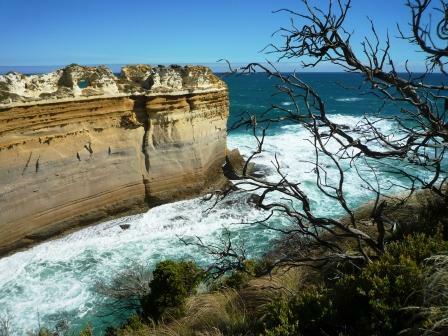 These massive, 45 metre high, limestone rock formations5 stand stoically, just off the edge of the shoreline. They appear to rise up from the ocean and have been shaped and sculpted by years of erosion. I’ve fondly named each one Hendrix, Springsteen, Lennon, Elton, Elvis, Jagger, Bono, Madonna, Jackson, Lady Gaga & Beyonce! London Bridge – was once shaped like a bridge, hence its name. It was connected to the mainland where visitors could walk across its full span. But it gained notoriety in 1990 when the archway collapsed, leaving two tourists stranded on the outer part until they were rescued by a helicopter6. 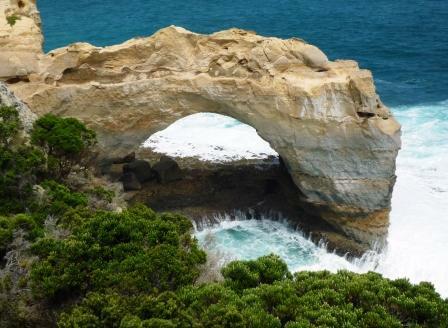 The Arch – This is a naturally sculpted bridge, or arch, and stands 8 metres in height7. You can view this attraction from a sealed walkway that leads to a viewing platform. 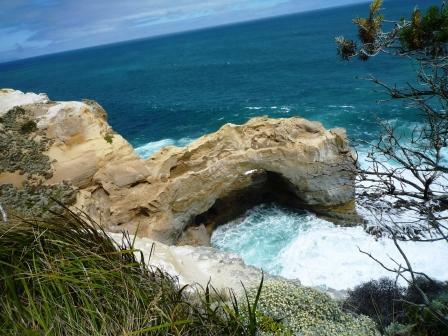 Loch Ard Gorge (& The Blowhole) – this is a site of historical significance. 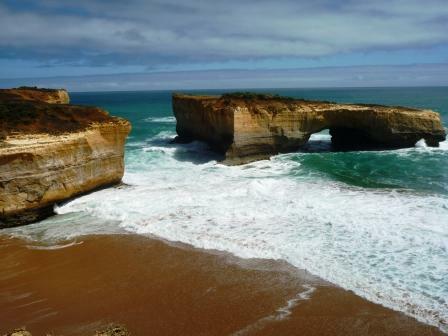 In 1878, the sailing boat, Loch Ard Gorge, ran aground and only two of its 54 passengers survived8. It was at this location that the two survivors were washed ashore, one of whom climbed the cliffs surrounding the gorge to find help. 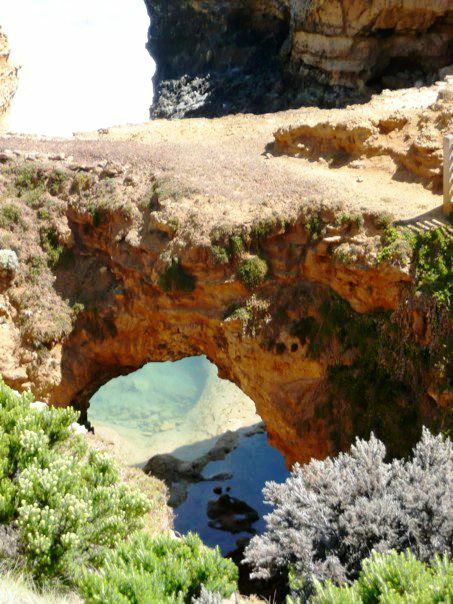 Within the gorge is a cavern known as The Blowhole. 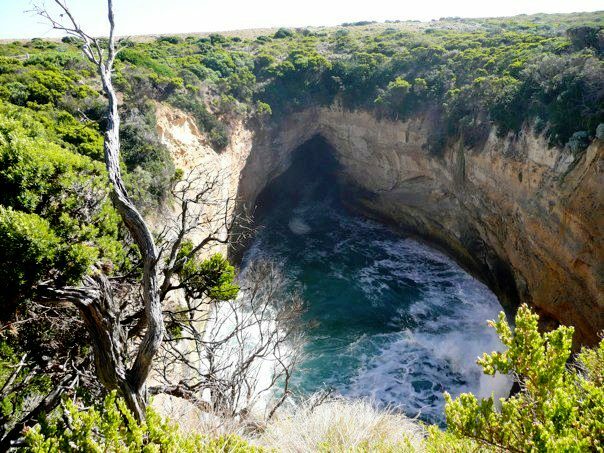 This cave is a tunnel that extends 100 metres inland that produces thunderous roars as waves crash through9. The Grotto – again, the constant cycle of erosion has helped permeate and hollow out the limestone which in turn has formed a cavern framed by an archway10. There are steps that descend down towards a viewing platform that allows you to get close to the base of the Grotto. The Razorback – the name came about due to its jagged edges that run along the peak of this rock stack. It’s characterised by deep rough grooves caused by constant wave action and salt laden wind11. 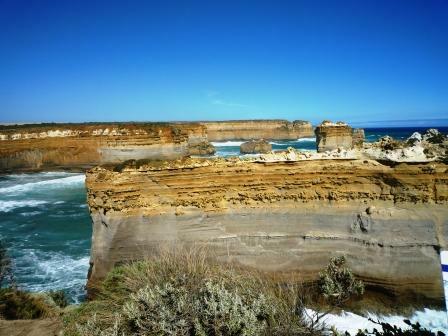 The Great Ocean Road is long and winding, as much as it is spectacular. The impressive coastal views will leaveyou mesmerized. “On the road again, I can’t wait to get on the road again” 12. 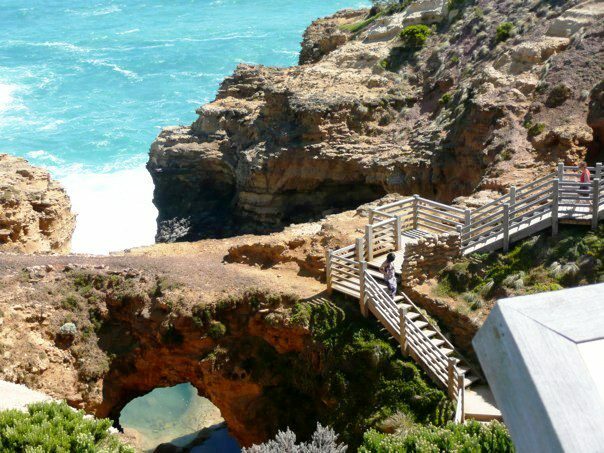 This entry was posted in Fitness, Food, Health, Inspiration, Lifestyle, Music, News, Photography, Summer, Thoughts, Top Stories, Travel and tagged 12 Apostles, Anglesea, Apollo Bay, Great Ocean Road, Loch Ard Gorge, London Bridge, Lorne, Port Campbell, The Arch, The Grotto, The Razorback. Bookmark the permalink. This is lovely. But, you just added to my difficulties, by adding one more “must see” destination! It is lovely. It’s some of the gems Australia has to offer. You definitely need to tick this off the bucket list! Awwww thanks so much! That’s so cool. I did play with the saturation, I modified the brightness and contrast on some of the pics. I’m not a pro photographer. 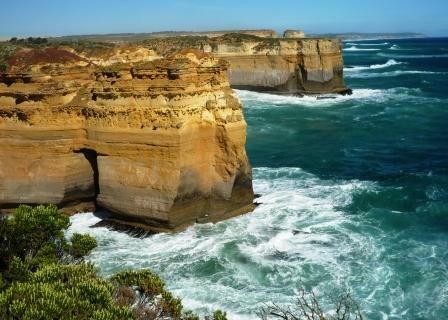 However, you can’t take a bad pic along The Great Ocean Road. Every view, every angle is just SPECTACULAR!!!! It’s worth the trek! Great post, and top marks for referencing! lol. 🙂 I was there recently (well, just before Autumn…) – did you read my blog post about it? I’ll put the link below. We did the Great Ocean Road and went all the way to Bendigo. It was a great few days away! We could have done with another couple of days up our sleeves, but the time we had, we managed to fit a lot in. Where do you live? Are you in Melbourne? Our next holiday is going to be the Jenolan Caves in the Blue Mountains in September. I can’t wait! I did read it! and I remember thinking ‘wow, that’s one hell of a journey!’. When you go on these trips, there’s never enough days. Yes, based in Melbourne. It’s been MANY years since I’ve been to Canberra. I was in grade 6 when we visited The Dog on the Tucker Box landmark for school camp. That’s many mooooons ago! Blue Mountains should be sensational. I still haven’t been there. Melbourne would be nice! I was so excited to discover the dog on the tuckerbox so near to here! Wooooow.Picturesque.For the first time I actually come across something that sells Australia to me.For years I have heard of my neighbours (South Africans) emigrating to AustraliA but never really knew why?…..Welll now I know, albeit partly.BEAUTIFUL. This is only the tip of the ice berg. There’s so much to see and do here in the land Down Under. Sydney is the major tourist destination. But being from Melbourne, I’m bias, head to Melbourne, it’s the place to be. Whooo! This is awesome. And the first time I’ve even heard about it. I would love to explore, and photograph. It would be a bit of a trip from New Jersey….. Your Images, however are spectacular. Thanks. lol!!! We do love those Jersey Boys. Well, I do hope you can add it to your bucket list. It is spectacular and worth seeing. Cheers! Great post and amazing pictures! That’s an instant bucket list entry! Hello and thanks for the add! 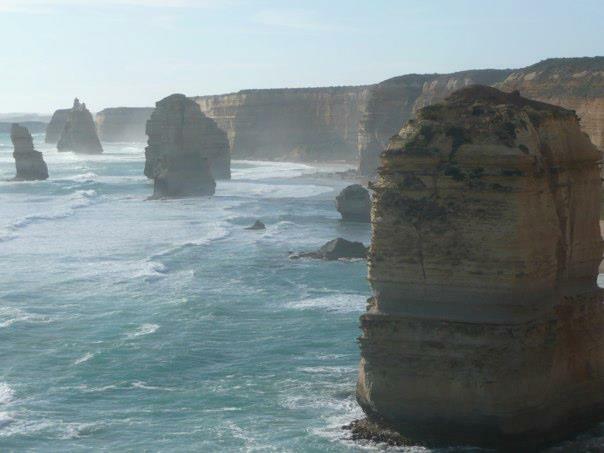 Despite being in Australia I have never even been to Melbourne but I hear this is probably Australia’s most epic drive … unfortunately due to erosion I most recently heard that there were only 8 Apostles left, has the sea carved any more off the cliff again? 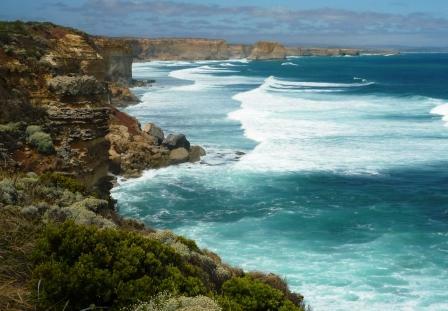 I grew up in Warrnambool, and these photos make me want to return to the coast I love so very much. 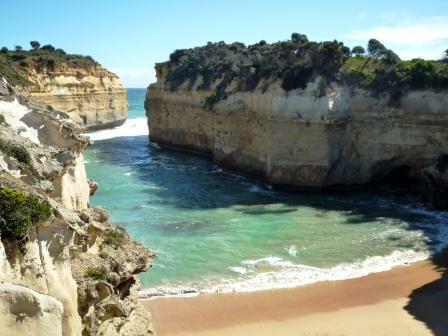 Just a couple of corections – the ship was the Loch Ard, not the Loch Ard Gorge. 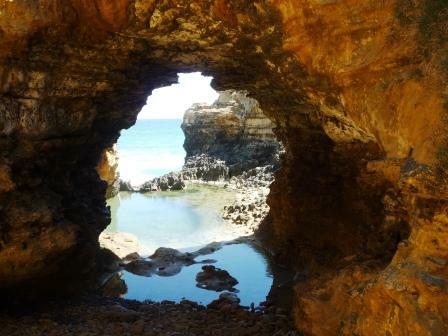 The cave in the gorge is where the two shipwreck survivors sheltered (Eva Carmichael and Tom Pearce), and the blowhole is actually in a different cave nearby. Sorry, I don’t mean to be picky. 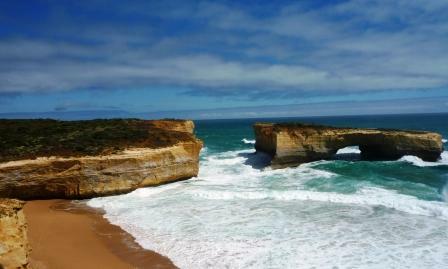 I love the photographs, and I also love Loch Ard Gorge. It holds many very happy memories for me. You are right that it doesn’t matter how many times you go there, every time it is better than you remember, and every time it looks different. The colours change with the light and the weather conditions. Thanks for some wonderful memories. Thanks so much for pointing these out. I’ve got so many photos it’s hard to keep track of the locations. But I do love this part of Victoria. It’s such a gem! Now I have to go!!! I enjoyed reading about all the “tourist attractions” on the way … especially about the two tourists left stranded on the bridge! It’s simply superb! Every where you look, you just say “wow”! Oh man, I’ve wanted to drive the Great Ocean Road for ages! Alas, my first trip to Australia took me north from Sydney to Queensland, and my second trip was only a two-nighter, so it just hasn’t worked out yet. Some day soon, I will make it happen! I absolutely love road trips on scenic drives. The North Cascades in Washington State, U.S., is one of my favorites – you should check it out if you haven’t yet! 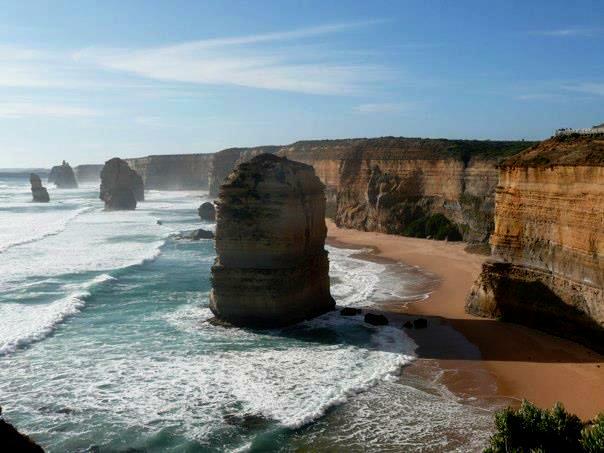 The next time you head to the Land Down Under, you need to visit Melbourne and of course, the Great Ocean Road. Melbourne is more laid back than Sydney and you can immerse yourself with our cafe culture (which the city is renown for). We should swap, I’d love to visit the states one day. I’ve been to Hawaii so I was half way there to the mainland lol! It’s a stunning part of the world. It never ceases to amaze me. It’s well worth visiting. Great shots thanks. 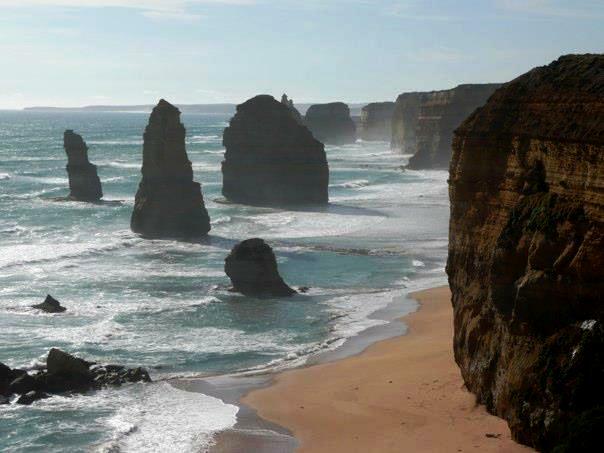 We have clients who rent our caravans who say that going along the Great Ocean road on their way to a caravan park was one of their highlights. Funny thing about the 12 apostles is that they are reducing every year! I think there are only 6 or 7 now. I am doing this drive in a couple months time and can’t wait. Your pictures are brilliant and have made me even more excited! Brilliant. Just discovered this blog and really enjoying it! Thanks! Oh my gosh! That’s awesome!!! Don’t forget to bring a camera. You’ll take some amazing pics!!! Thanks so much. So glad you like the blog! Cheers! Wow, that looks positively gorgeous. And it seems that your camera captured it well! It looks kind of like Highway 1 on the West Coast of the United States… is it? Not quite Highway 1. 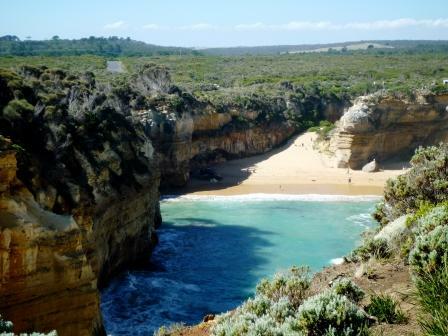 It’s the Great Ocean Road, down under, several hours from Melbourne. You don’t need to be a professional to get a great pic here. You’ll never take a bad shot b/c the views are spectacular! Thanks for visiting my Midwest Maize blog. I’m a food writer from the American Midwest, but I’ve traveled the world — and have driven the Great Ocean Road (on my second trip to Australia). Gorgeous stretch of real estate. Also loved the Flagstaff Hill Maritime Museum in Warrnambool, which I visited prior to my two-day drive along the GOR. I agree that it’s hard to take a bad photo — so much beauty and drama. Thanks for sharing what you saw. It’s an amazing place. No matter how many times I visit, I’m always in awe.